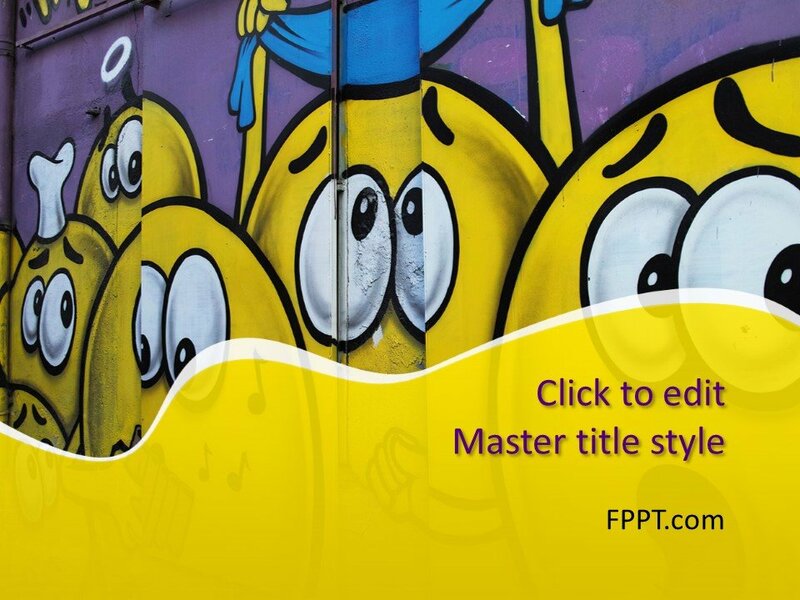 Graffiti is a wonderful wall chalking trend for publicity or for public information purposes. 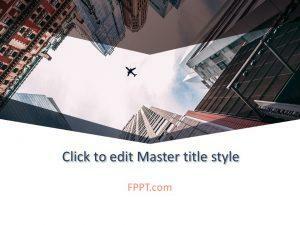 Many business companies and people around the world invest in this way of advertisement for their products and services. 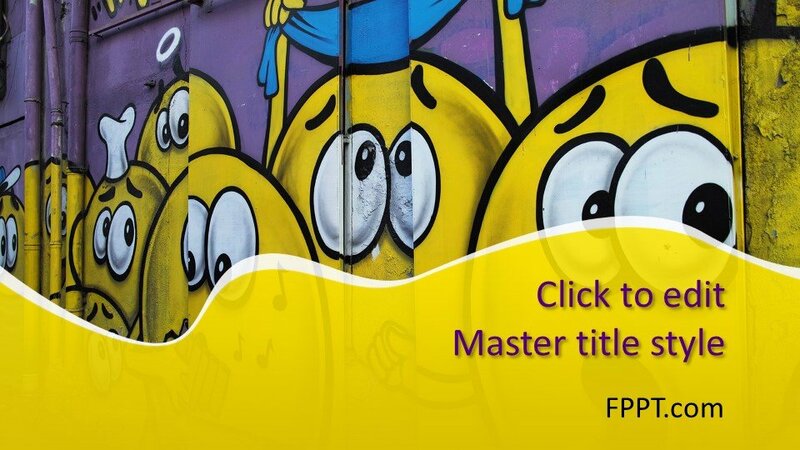 Free Graffiti PowerPoint Template with the image of some cartoons is a wonderful interpretation of the idea of wall chalking style with a nice image over a yellow and purple background design for PowerPoint. 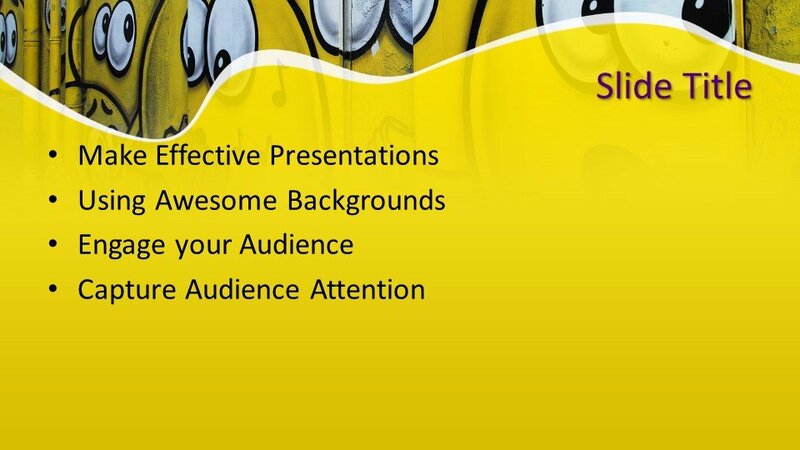 This kind of graffiti template design can be utilized for the educational topics or for architectural and building designing interior or exterior related PPT presentations. 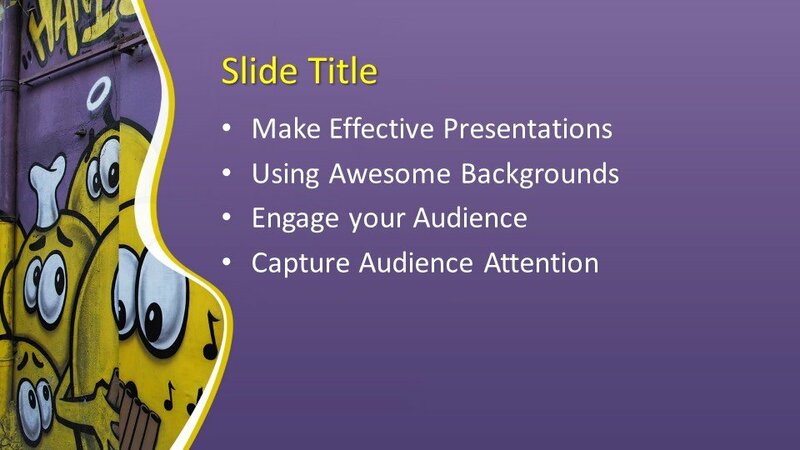 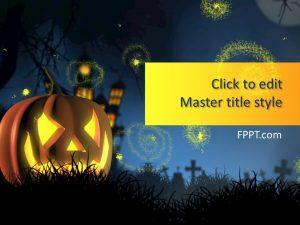 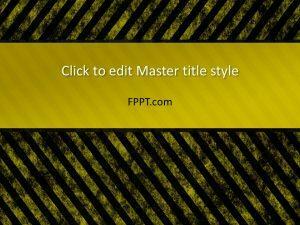 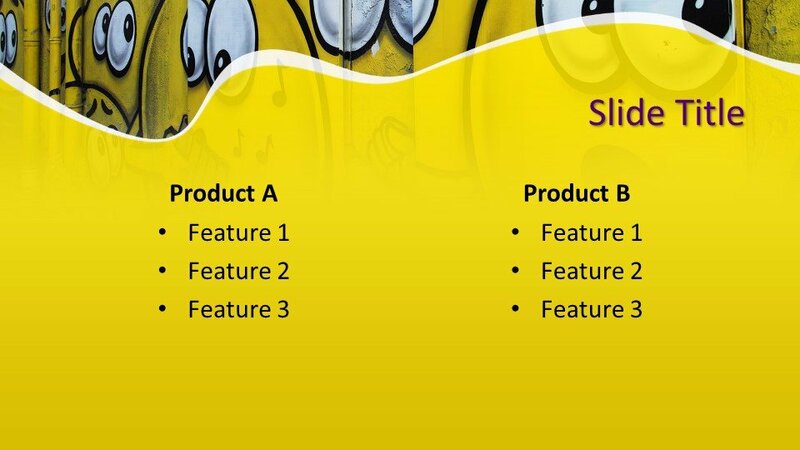 The yellow image of the template is admirable and useable for the background slide design of PPT presentations. 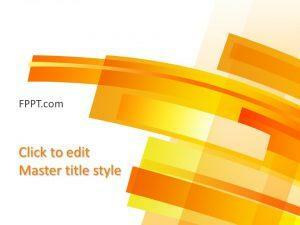 You can download the design free of cost and customize it with the help of MS PowerPoint any latest version 2010, 2013, 2016 and Office 365. 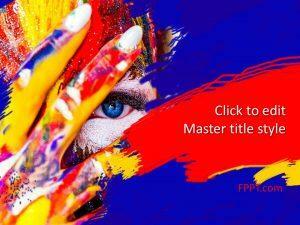 Alternatively, you can download other art, painting or graffiti-related PPT template designs for free on this website.